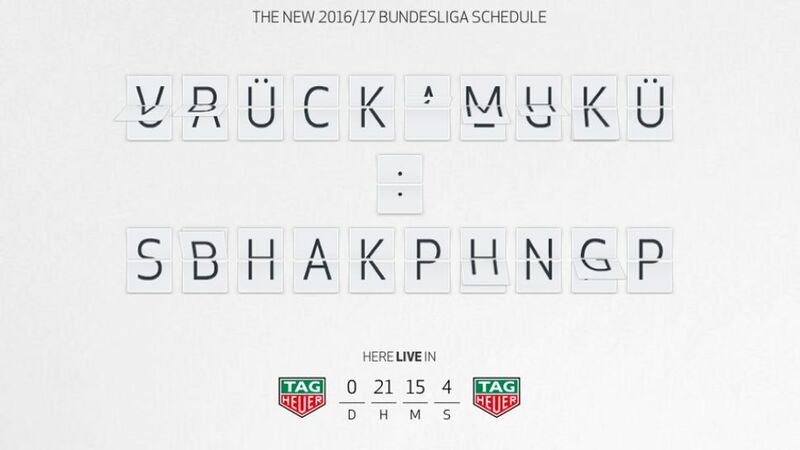 The DFL Deutsche Fußball Liga will publish the 2016/17 Bundesliga and Bundesliga 2 fixture list on Wednesday 29 June (11.00 CEST) on schedule.bundesliga.com. Alongside all the dates, the specially created website offers detailed information on how the schedule is created as well as a range of interesting content about the start of the new season, which kicks off with a home match for reigning champions FC Bayern München on 26 August. The Bundesliga 2 season gets underway on 5 August. Furthermore, reactions will be gathered on twitter under the hashtag #bundesligaschedule.